Note; all the photography on this site was shot by me and I have extensively researched each listing. Please don't infringe upon my intellectual property rights by plagiarising my work for your own personal use without consent. I'm generally happy for people to use my images and commentary but you must inform me and reference my site. I was born in the 70's and live in Christchurch, a city on the East Coast of the South Island in New Zealand. I'm a regular guy who enjoys life, love, my wife and kids. I'm heavily into fitness, and I'm a former two times NABBA Asia Pacific Bodybuilding Champion and I came second in the Athletic Tall Class at the 2000 NABBA World Bodybuilding & Fitness Championships. Favourite movies include Tinker Tailor Soldier Spy, Gattaca and The Godfather. Favourite books include, Lord of the Rings, A Game of Thrones, The Martian, Ready Player One and The Portable Radio in American Life. 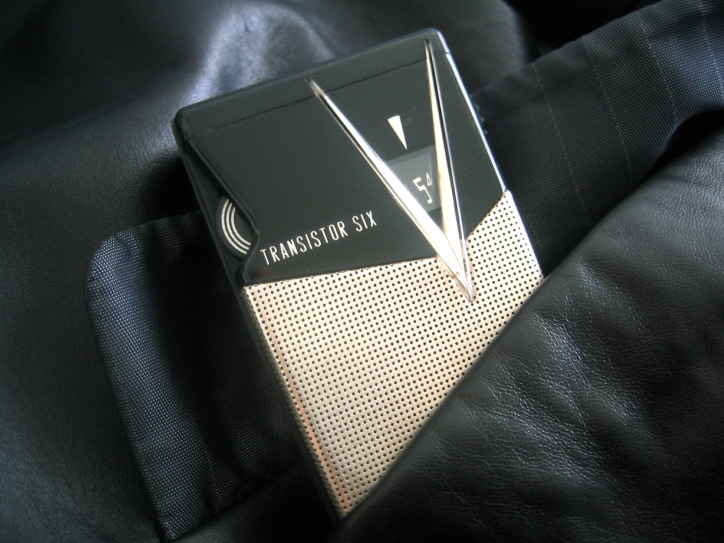 I've been hooked on vintage transistor radios since I purchased my first one on Christmas eve in 2006. I'm fascinated by their history, incredible atomic age design and portability. The social impact of the transistor radio during the 1950's and 1960's cannot be underestimated and the slogan on my homepage "A portable revolution in your shirt pocket" sums up nicely the relationship between teenagers of this era and the transistor radio. I hope you enjoy my site and please don't forget to sign my guest book and share memories of your own transistor radio experiences.